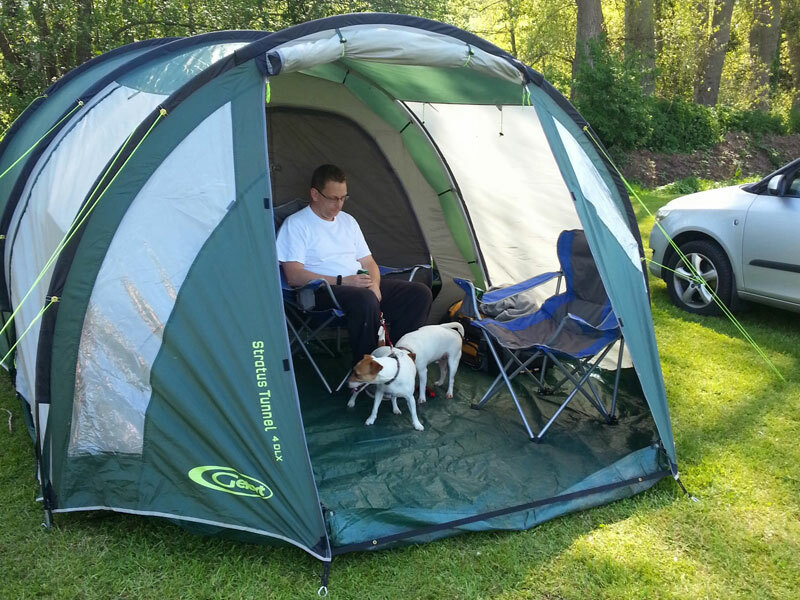 Guest review exclusively written for us by Sarah of Wild Dunk Camping. I am and always have been a keen outdoors enthusiast. I have been camping since I was 2 years old, along with brownies, guides, DofE and as a parent myself. Although the camp experiences as a youngster almost put me off for life, I married an ex TA; Ray Mears ‘wannabe’; who wild camps and canoes with our eldest son and between them they convinced me to give our new Gelert Stratus tent a go – so, I agreed to a 2 night trial, hubby chose this site and the boy did good! The Elmsdale Site is a small field that is basically the owners back garden. It is immaculately kept with ample flat pitches and a beautiful stream running around the site on the banks of Garron Brook. There is a picturesque bridle path running along one side which is perfect to walk the dogs, (the site is fully dog friendly), or enjoy simply stunning scenery. 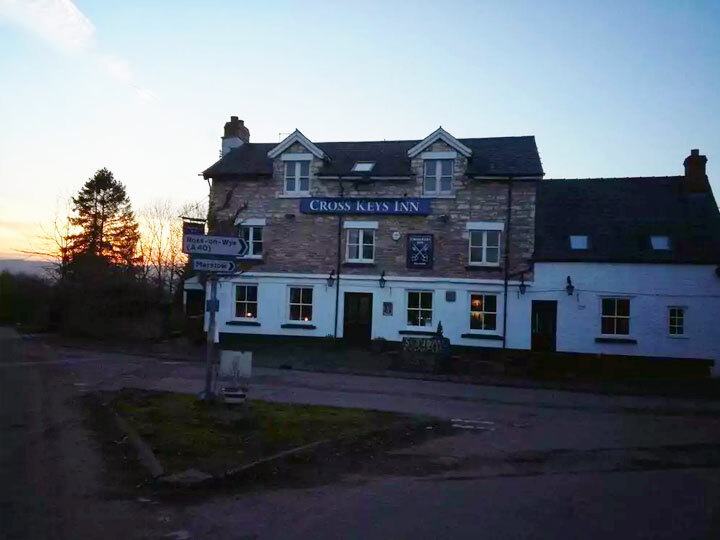 The walk is only half a mile to the superb Cross Key Inn in Goodrich, a family-run pub with a conservatory and kids’ play area in the garden, plus excellent home cooked food dished up in HUGE portions! Elmsdale has 5 touring caravan pitches, 25 spaces for tents, 16 hookups, toilets, showers as well as a small building with two sinks for washing up and even a small freezer for ice packs. The small, split-sexes toilet block was very clean with two toilets and two shower cubicles (free) each side. The recycling boxes are the best I have come across especially for such a small site and are clearly labelled. We were made to feel extremely welcome, owners were very friendly and always on hand for any queries and the whole atmosphere of the site was very family and dog friendly. Pitch Fees are from a very reasonable £8.00 per adult, per night. Jumbo tents welcome, but there is a £3.00 per night fee for tents larger than 8ft x 6ft. Elmsdale is situated in a rural location and is conveniently placed for both market towns of Ross on Wye and Monmouth which have a wide variety of small and medium size shops as well as good range of major supermarkets to choose from. Local village shops in the area will also cater for your fresh produce and everyday items. Chepstow and Lydney are a little further away but still within very easy reach. Symonds Yat is a village in the Wye Valley and a popular tourist destination, straddling the River Wye and on the borders of the English counties of Herefordshire and Gloucestershire. It is within a few miles of Monmouthshire and the Welsh border. The river winds its way around the outcrop through a deeply wooded gorge. Symonds Yat Rock, a limestone outcrop rising some 500 feet rising from the banks of the River Wye, is one of the best known view points in the Wye Valley and The Royal Forest of Dean. The rock also plays host to abseiling and rock climbing, however it’s the river that draws the tourism to this farming valley. 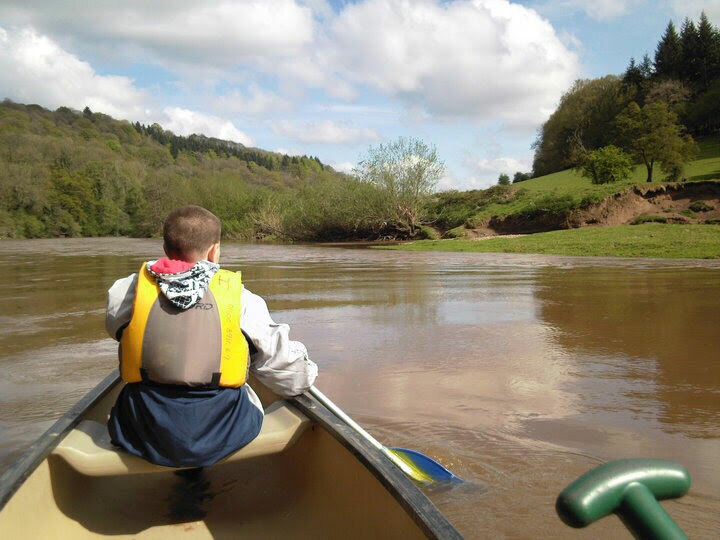 The site is only three miles from the Wyedean Canoe club where the club offers all kinds of canoeing experiences, from white rapids to the indoor pool, as well as several boat and kayak tours. 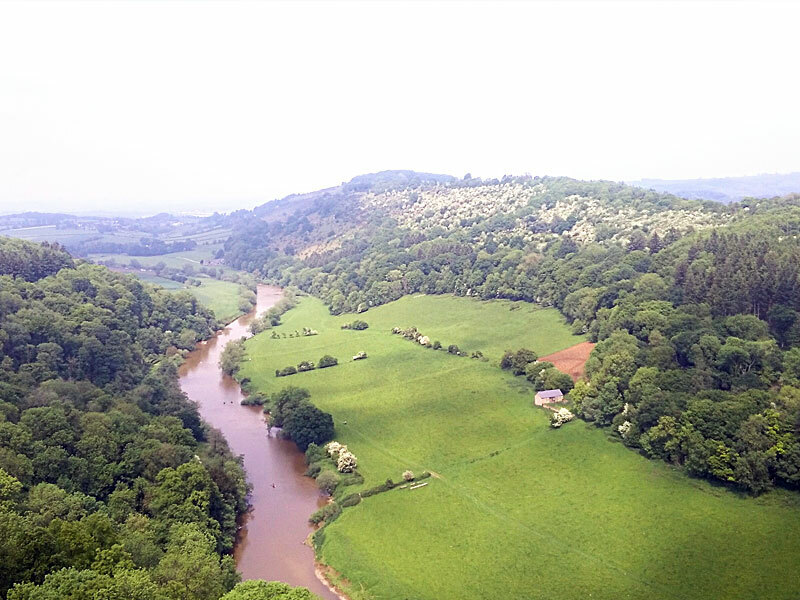 The Forest of Dean to the east and the rugged terrain give plenty of walking options too. It’s easy to spend an outdoor week or two in this area. However, you won’t need to be fans of the outdoors to fall in love with this region. There is plenty to do for all ages and abilities and there are also plenty of tourist attractions within easy reach. The site is very close to Goodrich Castle (4 miles) and the Wye Valley Visitor Centre, home to the Wye Valley Butterfly Zoo, MIni Golf and the Amazing Hedge Puzzle, is just 2.8 miles away. The region is also home to the Dean Forest Railway (15 miles), Clearwell Caves (9.8 miles) and Tintern Abbey (17 miles) to name but a few of the plentiful attractions within an easy drive. Cider fans are spoilt too, as the site is conveniently close to the Southern end of the Herefordshire Cider Trail – with Ross on Wye’s own cider producer just 5 miles away (indeed, cycling the whole route, sampling along the way, is a popular outdoor pastime!) . Wine lovers, meanwhile could easily be tempted by the Three Choirs English Vineyard in nearby Newent. All in all, this is a high quality campsite in an outstanding area of natural beauty – what’s not to love? Sarah is an outdoor pursuits enthusiast and one of the owners of WildDunk Camping, a small, family-run outdoor pursuits business helping people to rekindle their love for the great outdoors and reconnect with nature. They provide advice, accessories, training workshops, and overnight camp experiences in Carmarthenshire, South Wales – basically, everything you need to start your own wild camping adventure.